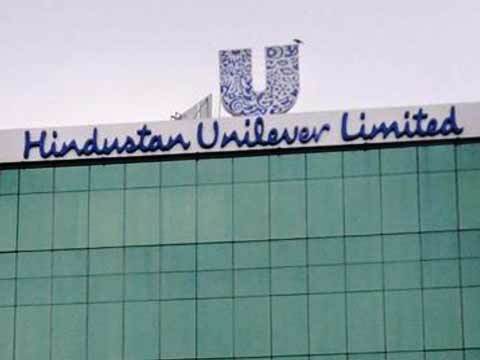 Retail giant Hindustan Unilever (HUL) is partnering over a dozen content creators from Star Network and Yash Raj Films to Facebook and Google to produce content across channels where HUL brands..
Retail giant Hindustan Unilever (HUL) is partnering over a dozen content creators from Star Network and Yash Raj Films to Facebook and Google to produce content across channels where HUL brands can participate, perhaps subtly, as part of the conversation. Last week, the maker of Dove and Rin invited 13 producers including broadcasters, radio channels, film producers and top-notch digital companies to its campus to ideate how they can seamlessly weave HUL brands in their content, messages and shows, instead of just product placement and brand plugs. "As media is changing, there is a skill that needs to get evolved as content explodes, how to tell compelling brand stories and really cut through to consumers by making sure the brand is able to tell a story that consumer can relate to," said Gaurav Jeet Singh, HUL's head of media services in South Asia. While the latest move of HUL, the country's largest advertiser, won't replace advertisements, the company is trying to partner media channels beyond obvious marketing. "Through popular culture, how can we ride on content that is designed to entertain, engage and connect? Something that is not force fit. But something that naturally fits into the content and can carry the brand story seamlessly," explained Singh. HUL's media agency, Mindshare, is a partner in the initiative. "As the consumer's media consumption habits change, we understand the need to create and curate differentiated communication platforms, to build lasting brands with an engaged audience," said Prasanth Kumar, chief executive of Mindshare. "The consumer is no longer a passive viewer, but an active participant in the brand's story-telling journey. Brand ideas and content that resonate with the audience are further seeded by them into their own circle of influence that has a far more powerful effect," Kumar said. With over 35 brands across food, personal care and home care portfolios, cutting through structures and processes to execute an idea quickly becomes an issue. Hence, the company through 'Content Day' encourages brand team members to share ideas which can be approved or perfected quickly so as to become scalable. It wasn't easy. In the last six months, HUL has been working on the novel concept from identifying nearly a dozen brands to sending briefs to 35 content creators for ideas. The company that initially received around 300 ideas, narrowed it to 40 with 13 companies meeting individual brand teams on Content Day for possible brand integration. Two ideas from Star Network and one each from YRF and Disney made it to the top four, which were presented to the top management and the entire marketing team of HUL. "We want to create a strong ecosystem of for branded content as that is crucial to the future of marketing," said Samir Singh, HUL's executive director-personal care. Sample this. In the latest blockbuster Piku, while there were several brand integration, there were two that particularly stood out: Amul milk and Red Label tea. Both these products were placed on the dining table when the protagonists in the film ere having breakfast and they effortlessly became part of the movie scene. "But they can be part of song lyrics, movie title, we can co-create product with the company and integrate the brand in several other ways depending on the marketing objective", said Ashish Patil, business & creative head and vice president at YRF. "The unique thing about Content Day is that it is not a random one off project, but HUL wants to make it an annual event. And, it's a cultural shift for them. It is about looking at content differently, as an important marketing tool. And it is about infusing new thinking which they or their ad agency may not be geared to do," he said. As per a news in Et retail..